Established in 1900, American Lawn & Tree Arborists has been serving the Great Lakes Region for over 100 years, specializing in natural and organic lawn and tree care. A lush and beautiful lawn is not only for your eyes, but for the enjoyment of the whole family. American Lawn and Tree Arborists is dedicated to protecting you and your lawn using nature’s insecticide. Our service program features EcoSMART’s patented botanical products. American Lawn & Tree Arborists utilize natural or organic alternatives whenever possible to solve our customers’ lawn or sick tree problems. We are “The Organic People” and will continue to lead the industry in organic lawn and tree care. 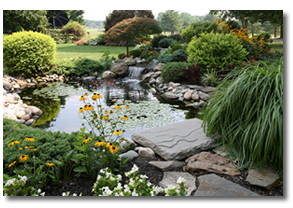 All of our lawn and tree care services use Organic Fertilizers and Natural Pest Control Compounds. We proudly use products from EcoSMART Technologies which contain a patented blend of botanical oils that effectively targets a broad spectrum of pests… not people or pets. We Work The “Bugs” Out Of Your Life… Naturally! American Lawn & Tree Arborists proudly serves the following areas in Michigan: Metro Detroit, Oakland County, Wayne County, Macomb, St. Clair, Monroe, Canton, Livonia, Southfield, Farmington Hills, Troy, Rochester, Birmingham, Royal Oak, Lake Orion, Oxford, Bloomfield, & more.